Hey Engadget, I've missed you. For those of you who don't remember me, my name is Ryan, and until 2008 I served here as the Editor-in-Chief. Well, like Peter, I'm back. But this time I'm doing something totally different. Shortly after Engadget was acquired in 2005 by Aol, things started to look a little weird from the inside. The company shifted directions (again) and took on some new management that, frankly, had no business running a popsicle stand. The grand scheme of a brand-and-content-first future got sidelined. Despite some pretty unfortunate corporate neglect, scrappy as ever, we continued to grow Engadget. (Not to put too fine a point on it, but I've come to think of those as leaner years than the days when Engadget was an under-funded independent startup.) However, by 2008, the dust had begun to settle and it became increasingly clear we'd somehow managed to win the war: Engadget pulled way ahead of all its competitors in every metric we could measure, and the rocket ship showed no signs of slowing down. Even better, by 2008 the company was also actually paying attention to the fact that we were putting real numbers on the board. We started getting new access to resources, and things were looking a lot brighter. So, naturally, I started to get restless. The hardest part was done. My old friend and partner in crime Peter Rojas -- the guy who created and brought me into Engadget in the first place -- was looking for a change from his post-Engadget venture, too. So we decided to put our heads together and think about the online consumer technology experience from a different angle. Two weeks before the biggest financial crash of any of our lifetimes, I left the site in the hands of a rookie editor with a bit of moxie by the name of Josh Topolsky and made my departure, doing my best to set the Engadget team up for continued success. Engadget continued to go on to do amazing things (many of which I was never able to get done in my time there, like a full suite of mobile apps), and a little less than a year later gdgt launched. Now, a big part of the reason we started gdgt was because I think Peter and I both missed the early days of Engadget when we had a deeper connection with the readership. The site was smaller and our readers were less numerous, which meant we actually got to read every single comment and email people left us (and in those days they were far more often than not pretty insightful, believe it or not). I actually owe much of my early education in this industry to readers not unlike yourself, sharing what and how I got something wrong. That kind of continuous feedback loop among intelligent, passionate, articulate users set the tone for the concept behind gdgt, and we leaned into a burgeoning trend that was a little less obvious in 2008 as it is today: social + community as media + communications. gdgt was initially planned as a horizontal tool where products weren't just abstract things to be discussed, they were the actual organizing principle of the entire site. (Kind of like how posts are the organizing principle of Engadget.) We wanted to tap into not just the tribalism of consumer technology, but the collective knowledge of people like, well, you. And not competing head to head with Engadget was very important to us as well -- we didn't want to distract from the good work our old team was doing to grow and mature the very brand we'd bled for and built our careers on. Of course, as so often happens in the world of startups, we had to recalibrate gdgt. It was humbling and incredibly educational. We were (and are) widely copied, we had many wins, and launched a dizzying number of releases I'm extremely proud of (even despite being hyper-critical of our own work). Even though we were never able to replicate the level of success we saw with Engadget, I did come away with something else. I'd like to think I learned how to build a team that ships world-class design running atop solid, stable code. At gdgt today, we ship new code and features almost daily. The adrenaline high that gives our team is absolutely infectious. And just as it was with Engadget, of the things created along the way, I'm actually more proud of the team we brought together than the product we built. Flash forward to last year. After a really successful partnership syndicating gdgt's product database to tens of millions of Engadget pages per month, Peter and I were approached by a whip-smart guy by the name of Jay Kirsch, who runs the group Engadget, TechCrunch, Joystiq, and TUAW are a part of. Jay wanted to discuss doing something bigger. We listened to the pitch and pondered the possibilities. Whatever your feelings for Aol, it's impossible to deny the company operates the most influential and powerful stable of technology media brands in the world. 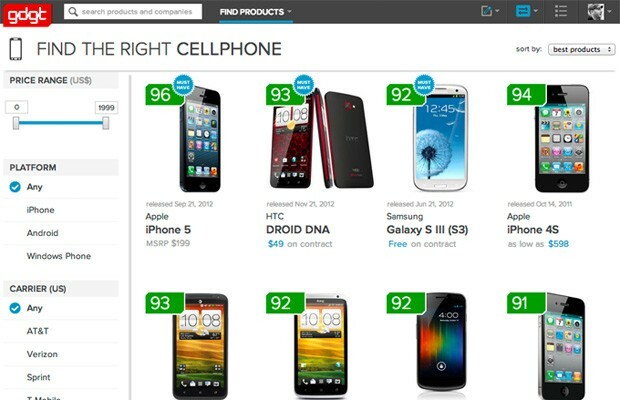 And gdgt, as a premium destination for product purchase intelligence, recommendations, shopping data, and product information, was a natural fit for a number of gaps in the lineup. But it wasn't just about gdgt.com, the site. As we've all seen, the game has changed. Media is no longer static -- it's not just about the words on the page (although with as much competition as exists out there, those words are even more important than ever). To compete in our space today it becomes about the holistic experience, whether on the web or in an app. We're facing some hard truths together: some of these sites need a leg up. Not editorially -- Tim and Eric and Alexia and Luddy and Victor have that end on lockdown -- but the kind of design and engineering strategy to take things to the next level, and the resources capable of shipping day in and day out, continuously iterating and improving one pixel and one commit at a time. So, that's my new job. I'm here to take everything we ever learned at gdgt about how a design and engineering-centric organization ships product, and apply some of that industry leading design and user experience to the best stable of technology publications anywhere under one roof. It's perhaps the most exciting challenge I've ever taken on. It's insanely daunting. I can't yet tell you what Engadget or Joystiq will look a year from now, but I can tell you that to the best of my knowledge this is the biggest investment Aol has ever made in the future of its technology properties. I'm incredibly honored and humbled to play a part, and I honestly cannot think of a better home for gdgt, myself, our team, and perhaps most importantly, our DNA. So, with that: I'm going to get to work. More on that front soon. Much more. P.S. -In the mean time, don't be shy! You can always shout me out on Twitter at @ryan.